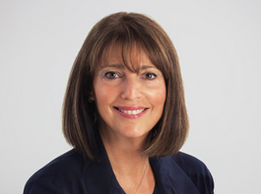 EasyJet CEO Carolyn McCall is likely to become CEO of UK broadcaster ITV, according to a report. The former chief executive of The Guardian Media Group chief has been interviewed along with former STV boss Rob Woodward and Paul Geddes of insurance company Direct Line. However, the Guardian claims McCall is in the driving seat, quoting an unnamed source suggesting the broadcaster has been attempting to ‘persuade’ her to take the role. ITV has been on the hunt for a new CEO since Adam Crozier announced he would leave after seven years. He exited in April, with CFO and COO Ian Griffith currently running the business in his absence. Formats experts Peter Bazalgette, ITV’s executive chairman, is overseeing the search for a new CEO. An announcement could come as soon as this week, with ITV’s interim results seen as the latest date it will wait, according to the Guardian. McCall has overseen a huge upturn in fortunes at low-cost airline EasyJet since joining in 2010, though profits fell last year following Brexit. She has experience in media through her time at the Guardian, where she worked in commercial activities before becoming chief exec. The news comes soon after ITV rival Channel 4 announced former Shine Group boss Alex Mahon as its new CEO.